Safeguarding your wellbeing, assuring that you are in the right place at the right time, reducing any potential stress or delays and making a good appearance are all great reasons to hire your luxury car rental with a chauffeur from Luxury & Services. Depending on the number of passengers and the amount of luggage, you are spoilt for choice with the selection of executive vehicles from Luxury & Services - each of which looks sleek, stylish and guarantees an incomparably comfortable ride. The most discerning of passengers might opt for the prestigious Rolls Royce or one of four types of Mercedes, each offered with a professional chauffeur to transport you with class. 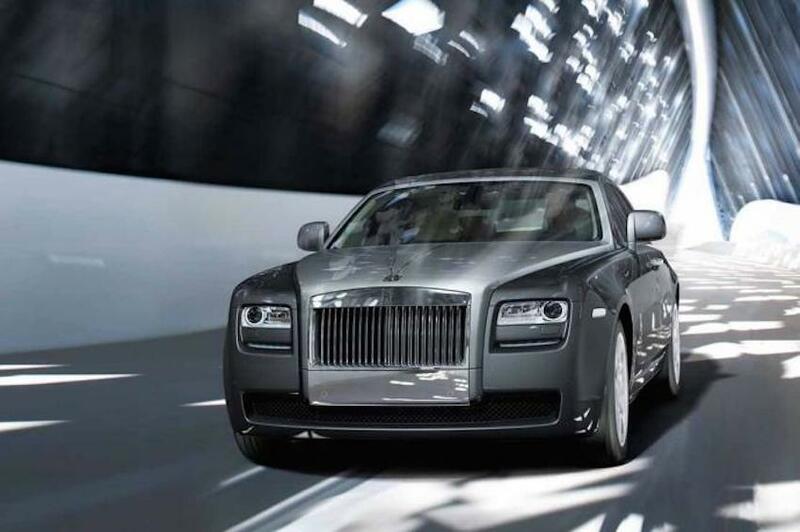 The Rolls Royce Ghost comfortably sits five passengers and has a lot of space to store baggage. Its spacious boot will easily take four very large pieces of luggage. One of the most luxurious vehicles on the market, this spectacular vehicle offers the most stylish way to arrive at a conference or party. The Rolls Royce is ideal for family holidays or long business trips, where much luggage is required in order to dress appropriately for every occasion. It provides ample leg room and extremely comfortable seats to ensure a memorable journey. If you have even more passengers then the Mercedes V Class is perfect for your party, as it will comfortably sit eight passengers. It also has extensive space for luggage. Your chauffeur will enable the smooth transition of your group from door to door, with minimum effort or stress. For four passengers or less, Luxury & Services has three Mercedes with chauffeurs for hire: the Mercedes S 350, the Mercedes S 500 and the Mercedes E class. Each of these models is well equipped with spacious boots that are able to store luggage easily. With local knowledge and affable personalities, our chauffeurs are able to provide you with a premium luxury service. Along with the luxury cars, you can be sure that you will arrive relaxed and in style. Let Luxury & Services transport you in elegance, comfort and ease in our chauffeur driven cars.